MINSK, October 15. /TASS/. 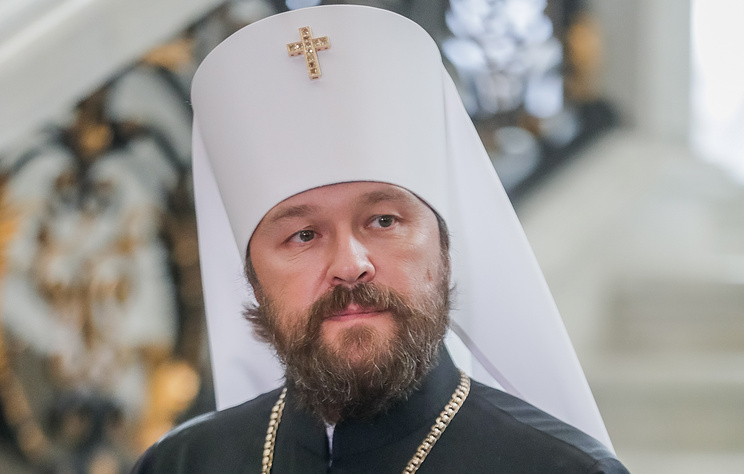 The Ecumenical Patriarchate of Constantinople is no longer seen as a single coordinating center of the Orthodox Church, Chairman of the Moscow Patriarchate’s Department for External Church Relations Metropolitan Hilarion of Volokolamsk said on Monday. "Now we face an utterly new church reality. We no longer have a single coordinating center in the Orthodox Church. We must be fully aware of that. The Ecumenical Patriarchate of Constantinople has eliminated itself as such," he told Russia’s television Channel One. 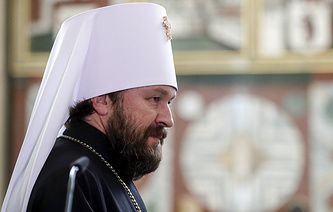 Earlier in the day, the Holy Synod of the Russian Orthodox Church said it refused to recognize the decision of the Ecumenical Patriarchate of Constantinople to grant Autocephaly to the Church of Ukraine and announced its decision to sever Eucharistic ties with it. On October 11, a Synod meeting of the Ecumenical Patriarchate of Constantinople decided to "proceed to the granting of Autocephaly (self-governance) to the Church of Ukraine." The Synod revoked a legally binding status of the 1686 letter, which empowered the Patriarch of Moscow to ordain the Metropolitan of Kiev. In addition, the Synod decided to re-establish the office of the Stavropegion of the Ecumenical Patriarch in Kiev, which means its head would be subordinate directly to the Ecumenical Patriarch of Constantinople. Moreover, the Synod lifted anathema from the heads of two non-canonical churches in Ukraine - Filaret of the Kiev Patriarchate, and Makary of the Ukrainian Autocephalous Church.